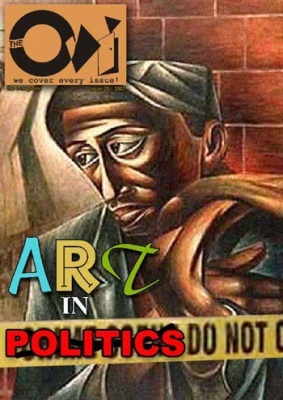 Art In Politics - "Anthem of the Black Poet"
i am the river bed flowing with mucus of age. my bullet is our 1987 political revision. in America and NOKIA in Berlin.